Join the Charm City Yarn Crawl by purchasing the Charm City Yarn Crawl tote, available soon at any of the participating shops for $15. You will also receive a yarn crawl passport. Collect stamps as you visit the shops and earn an entry in the prize drawing! Call your LYS today to pre-order. You must present the CCYC tote at each shop to obtain 20% discount on full-priced yarn, fiber and patterns and to collect a stamp on your CCYC passport. Show your tote at any participating shop from March 29th – April 7th, 2019 to receive 20% off your entire purchase of full-priced yarn, fiber and patterns*. 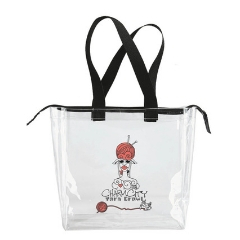 You may use your tote as often as you like during these 10 days**. You are also eligible for the prize drawing if you collect at least 8 stamps on your Charm City Yarn Crawl passport! *This discount may not be combined with any other discount. Some shops have items that are not available for a discount based on individual relationships with suppliers. Each shop will have a different prize package valued at $100 or more to be given away at the end of the crawl. To participate in the drawing, collect at least 8 stamps on your CCYC passport from your shop visits between March 29th – April 7th, 2019. Shops will stamp your CCYC passport for visiting as long as you bring your CCYC tote, and no other purchase is necessary for a stamp. Each shop will offer a different prize, so you may choose where to submit your entry. Drop your card off at the shop of your choice by April 14th, 2019. Winners will be announced by each shop after April 14th, 2019.